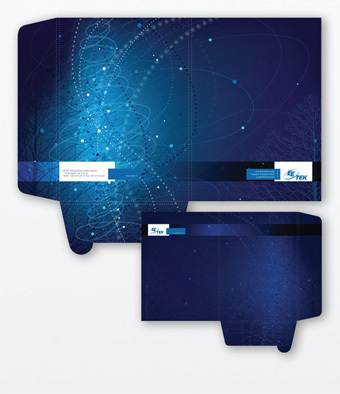 When you think about it, a presentation folder really is like the wrapping on a gift. 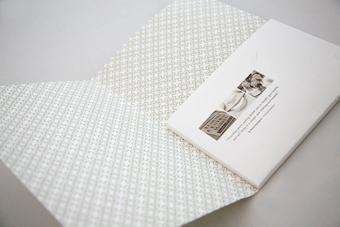 Great wrapping paper tells the recipient how much you care by demonstrating the time you spent wrapping it. This builds anticipation for what’s inside. 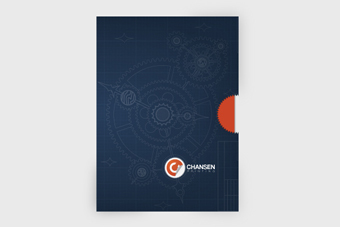 And that’s what a great presentation folder can do for you. Even more than the gift itself, it’s the time that you’ve spent putting everything together that matters. Your presentation folders should follow this logic. Unlike a wrapping paper that is vague about its contents, a good folder hints at what is inside. Below are some inspiring examples that can help you to follow this thought process and hopefully move you to improve your materials. 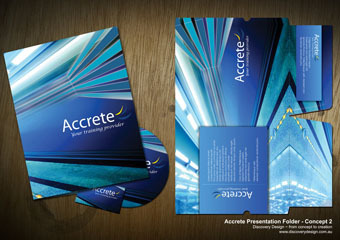 For more ideas, you can browse these presentation folders from CompanyFolders.com. The best part about this piece is its perfectly executed design. 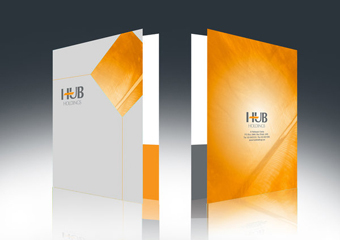 It’s simple, the look and feel is consistent across it’s contents and there are no distracting elements to take your focus away from the brand. 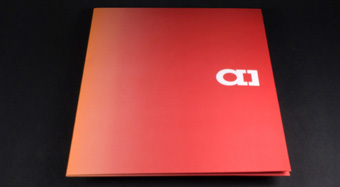 This folder is stylish and to the point. 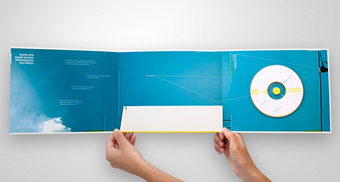 A great feature is how the CD holder has been integrated into the back cover, leaving the inside to simply contain marketing materials. 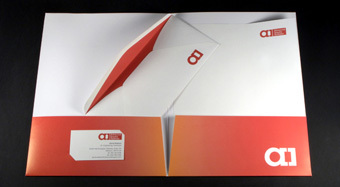 A tri-fold design provides a greater surface area to work with. 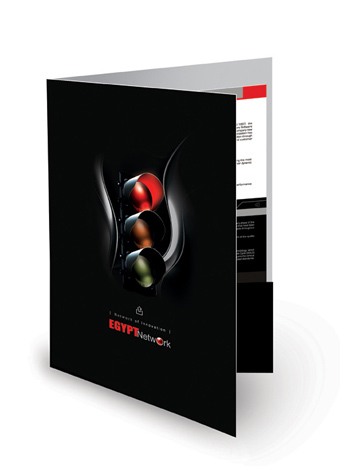 This gives you an opportunity to further push your own unique brand message. 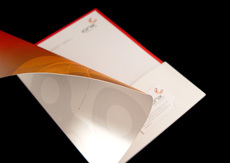 By using a finishing technique similar to a UV gloss, the spot varnish on this folder creates a fantastic looking design element, without the use of color. Using a creative cover clasp is another effective way to set your piece apart. In this case the clasp is die cut from the inside pocket. 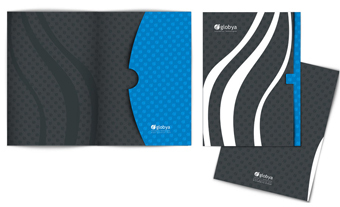 A pattern helps to fill space on your presentation folders without having to rely on an image or some other specific piece of art. 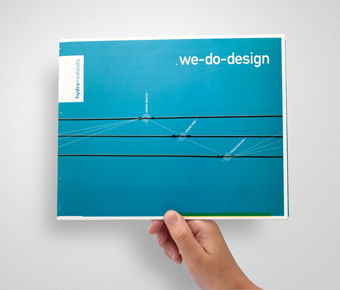 If it can be tied to your logo or another of your brand elements, as it is in this case, all the better. 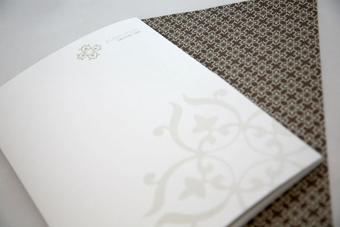 Here’s a great example of using a custom die cut as a way to reinforce other established design elements. 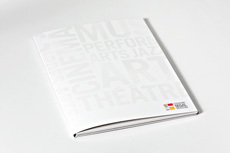 In this case it evokes the look and color of the logo by allowing the page behind it to show through. 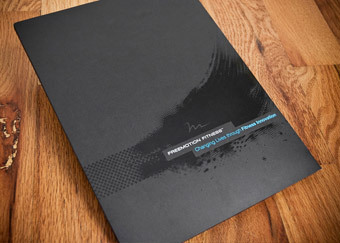 This is a great reminder about not forgetting to include the back cover when designing your presentation folder. It’s an easy way to expand your content and doesn’t cost anything extra. A simple, straightforward design will always function the best. Everything is laid out exactly where the audience needs to find it, and your information can be presented in a clear and succinct fashion. 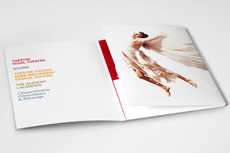 A captivating image that relates to your content can be very inviting to your audience. It helps to draw them in and grab their attention in a relatable way. 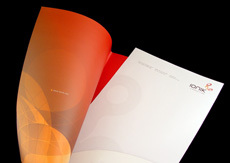 This piece follows one of the key rules for presentation folders: always rely on your content to provide information. 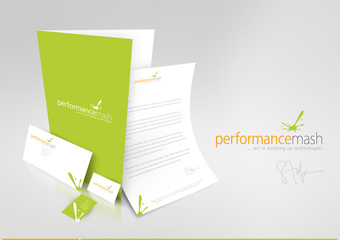 It also shows how following through on your branding can give you very effective results. 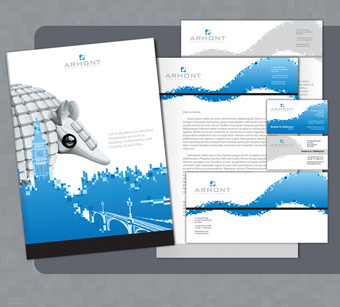 You don’t necessarily have to steer away from using images on your cover, especially if they’re consistent with your company’s message or brand icons. This is an extremely stylish piece in its own right. Add to it the effectiveness that’s sometimes forgotten in only using one color and you have the makings of some truly outstanding work. 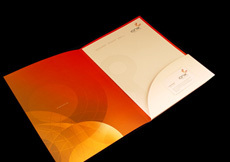 The goal with your presentation folder is to be able to use it with as many of your marketing materials as possible. 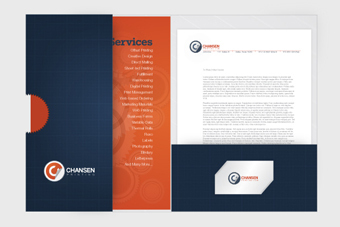 While it may seem that there is a lot going on, in terms of images and graphics, it still is versatile enough where it can be used regardless of the contents of the folder. 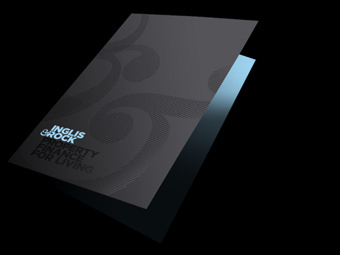 Clean and concise layouts lead to great results. The example illustrates that point perfectly. 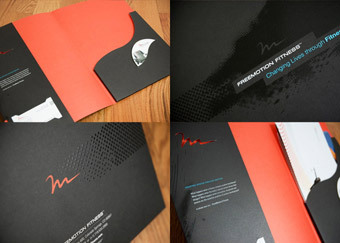 The use of color on the inside of the folder is inviting and provides good relief to the cover as well as the pocket. 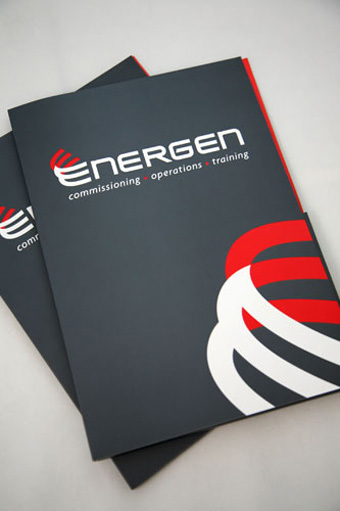 Using icons and marks in different fashions on your folder is a creative way to further develop your brand. 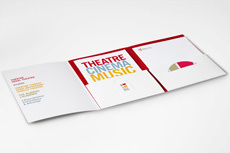 These are all great examples of the potential that can be achieved with your presentation folders. The key is to remember that the content is the most important part. 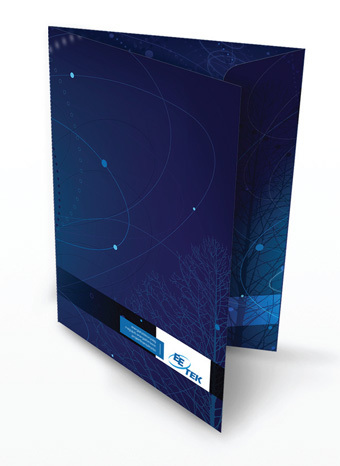 If you keep this in mind, you’ll go far in creating a versatile and effective folder that reflects well on your company and provides critical information to your clients.